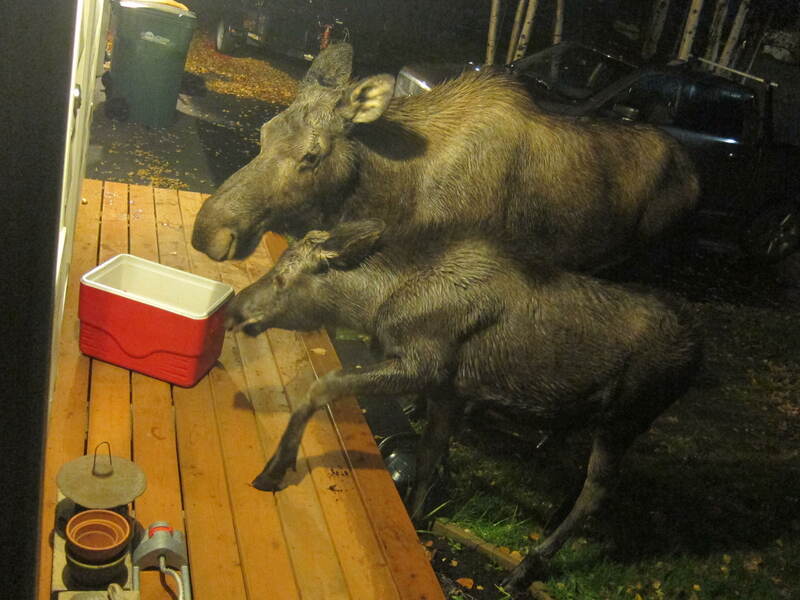 To my surprise, it was a mother and two baby moose devouring a cooler full of apples. 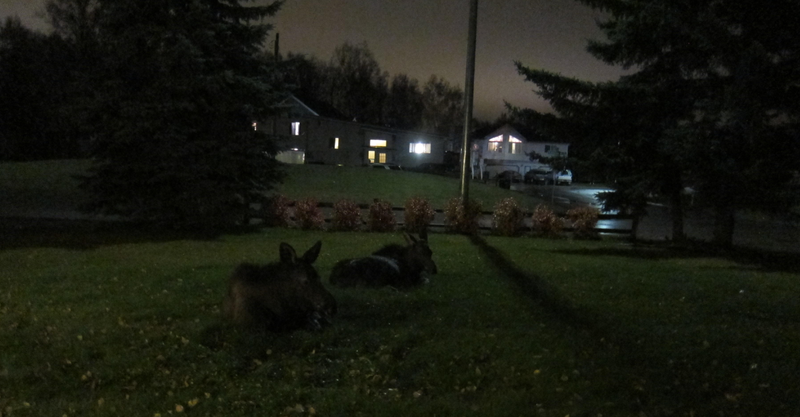 We’re in the city of Anchorage, Alaska, but we get moose in our yard from time to time. A friend brought me a bunch of great organic apples from her tree, and I forgot to bring them inside. Shoot! But the sight of a mother moose sharing this cooler full of apples with her two calves was too incredible to shed a tear over lost apples. I cracked the window open and grabbed my camera. I paid attention to their ears and their stance, ready to dart back inside if the giant animals looked irritated or aggressive. But the cow and her babies didn’t care that I was there. The moose were far too interested in those tasty Alaska-grown apples. The cow mainly let her calves enjoy the fruity fall feast. This short video is adorable. The momma finally gets in and tries to take a few bites. Then one of the calves sticks its head in the cooler, dragging it away from mom and toward himself. You can almost see the mother moose rolling her eyes at her greedy little child! After about 45 minutes of the calves primarily eating, they got full and laid down in the yard to rest, waiting for mom to finish up. The cow ate until the cooler was empty. I think she enjoyed her alone time. In this video, you can see her two calves behind her, laying down in the yard. It seems I don’t get to make organic applesauce this weekend using those tangy, delicious apples – but it was an entertaining evening nonetheless. 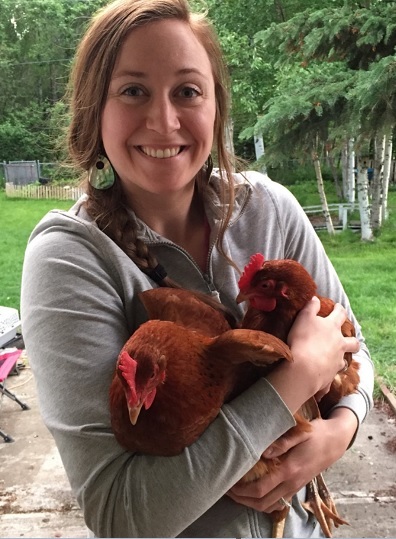 I learned my lesson about accidentally feeding the wildlife…never a dull moment in Alaska! Yes, fun when those things happen. You do know not to leave food like that out as wild-life will become habituated. Right? Have you been in Alaska long? You bring up a really good point. I’ve been in Alaska a few years, but this is my first “incident” accidentally leaving out food. I’ve learned a lesson moving forward. and give you a shout out from Porter Texas! Just wanted to tell you keep up the excellent job!